If you're like me, you probably take a huge bag to the pool with plenty of 'just in case' items that never see the light of day! 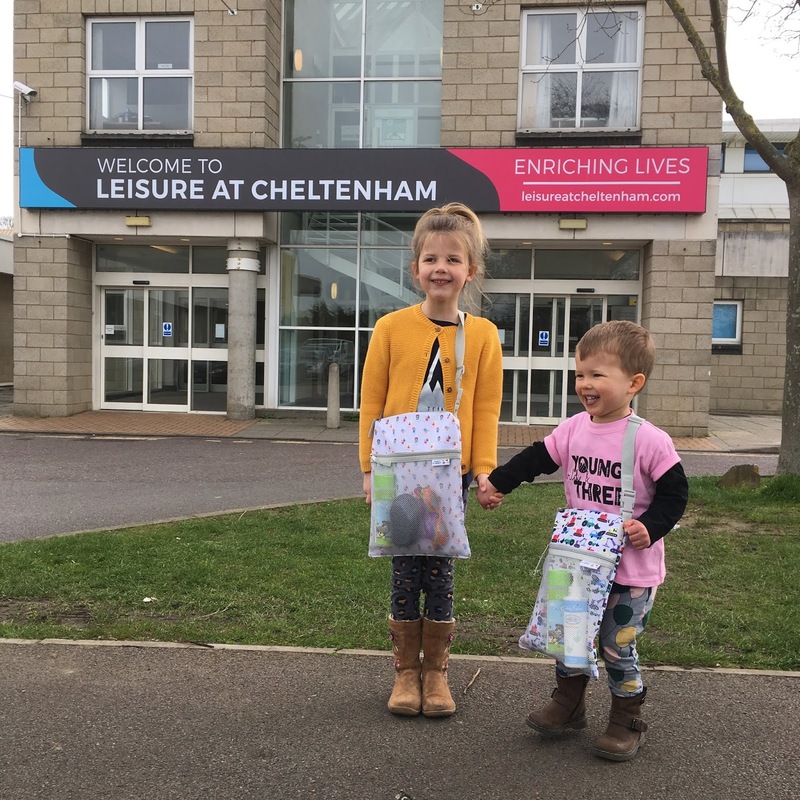 Recently, I had a message from Tiddlers and Nippers asking if we would be interested in reviewing their swimming bag and towel and I seized the opportunity to scale down my packing list in a way that would also mean that Honey and Ace gained the responsibility of carrying their own things. 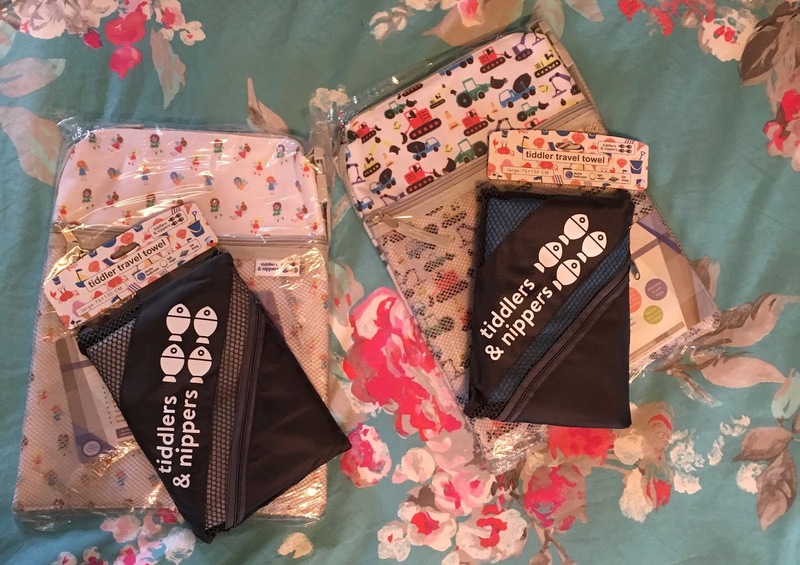 Firstly, tiddlersandnippers.com is easy to navigate, with all their items grouped in collections such as Bags and Accessories, Tiddler Apparel and Maternity Range. Clicking through the bags and accessories option, I scrolled through fun, colourful prints until I found the swimming bags. Ace was easy, Diggers and Lorries was the obvious choice but Honey took her time and eventually chose the Fabulous Fairies bag. I received an order confirmation, shipping notification and tracking information very shortly after ordering and my parcel turned up super quickly and with the minimum of packaging. As soon as they saw the bags, Honey and Ace couldn't wait to use them and packed them ready to go, there and then (unfortunately, coughs and colds meant we had to wait a few days)! In the front, mesh pocket, they put their hair and body wash, moisturiser, goggles and hairbrush. I also clipped our padlock (needed for the lockers at our swimming pool) to the zip so we won't forget to take it. In the main compartment, they stowed their new towels along with their swimsuits. Ace isn't in nappies anymore, but when I posted about the bags on Instagram, I did have a query about whether a nappy would fit in too and I can confirm that there is enough space to add one if needed and a pack of wipes will fit too. 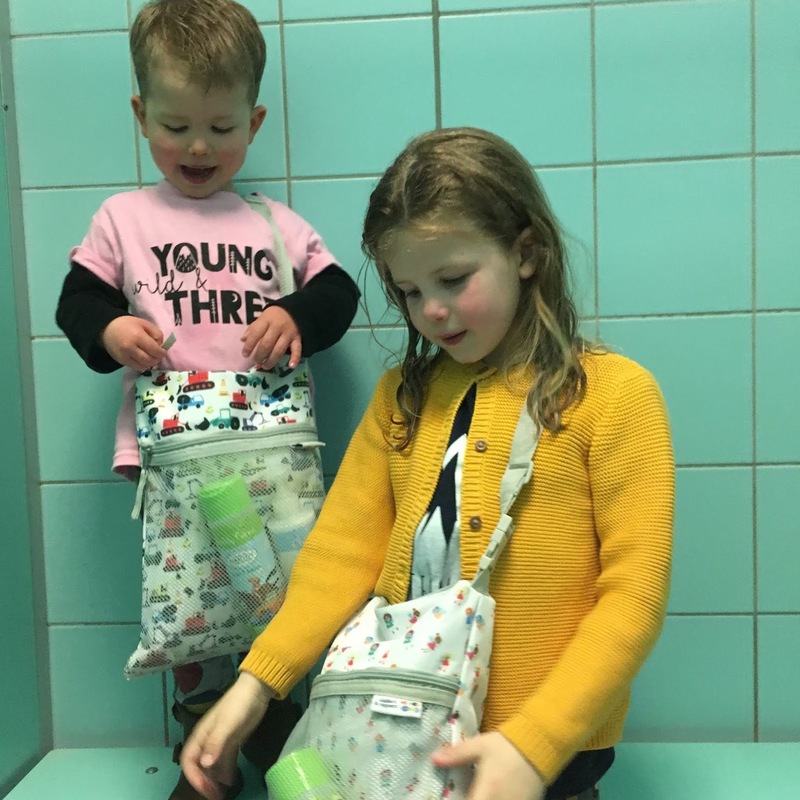 The straps on the bags are really easy to adjust, which means that children of all ages will be able to carry their own bags and really take ownership of their swimming experience. 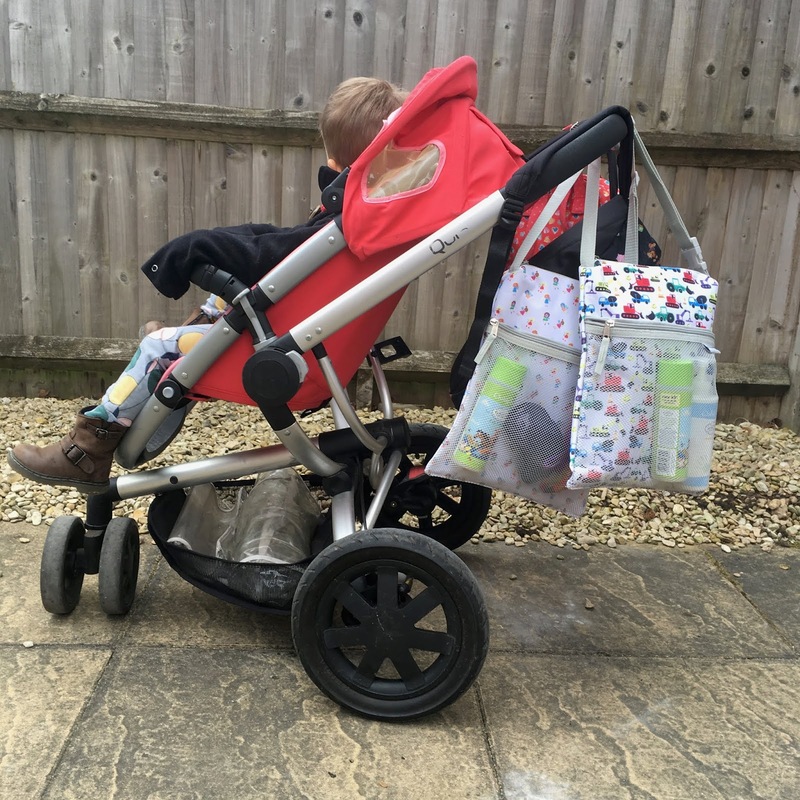 The clip helps to get the bags off quickly if your toddler needs help and it is also fab if you want to attach the bag to a buggy (which we did for part of our journey when Honey was riding her bike). Arriving at the pool, both children automatically started to get themselves changed, excitedly pulling their swimsuits out, unasked. 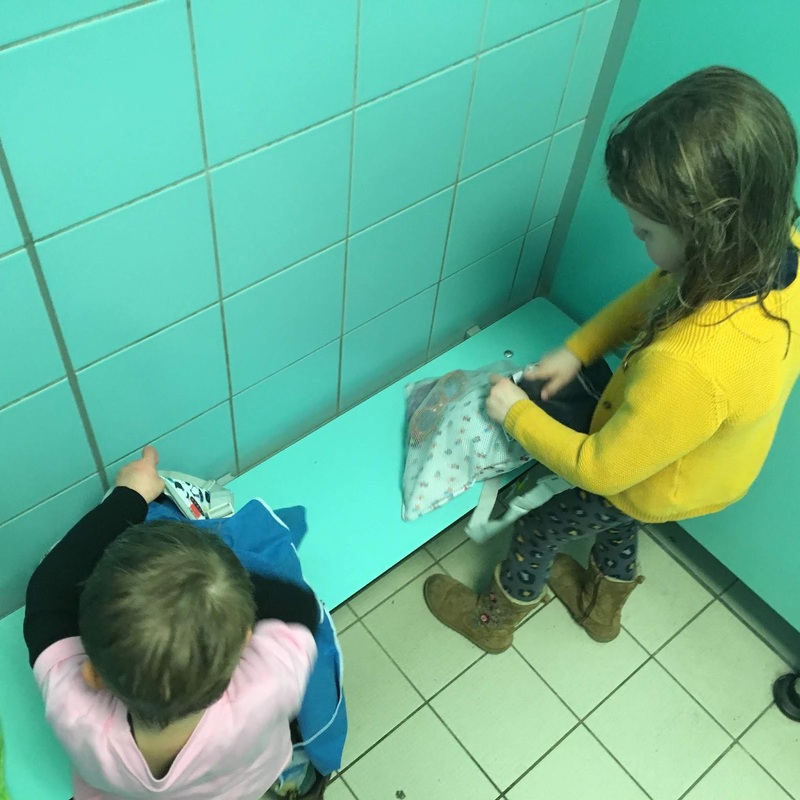 I decided to put their clothes in my bag rather than back in theirs, so that I wouldn't get them wet when I fished the towels out after our swim (although there was definitely room for a pair of leggings, a top and underwear in the bag if you wanted to put them in there). Thanks to the compact size of the bags, all our things fitted into one locker (shoes included, but we left our coats in the car). After an hour in the pool, it was time to shower and test out the new towels. The towels a great size and are made from super absorbent microfibre and are incredibly soft on the skin. I hadn't told Honey that we were testing out the towels for a review, but she was absolutely raving about how quickly the towel dried her and I could hear the lady in the next cubicle saying that it sounded like she could do with a towel like that because hers was on its last legs! Ace managed to dry himself brilliantly with his towel, he did keep dropping the corners on the wet floor, but that didn't seem to impede its performance at all. Honey and Ace were able to put the towels away by themselves as there was plenty of room for them to go back in unfolded, then I repacked them into their pouches after washing and drying them at home. 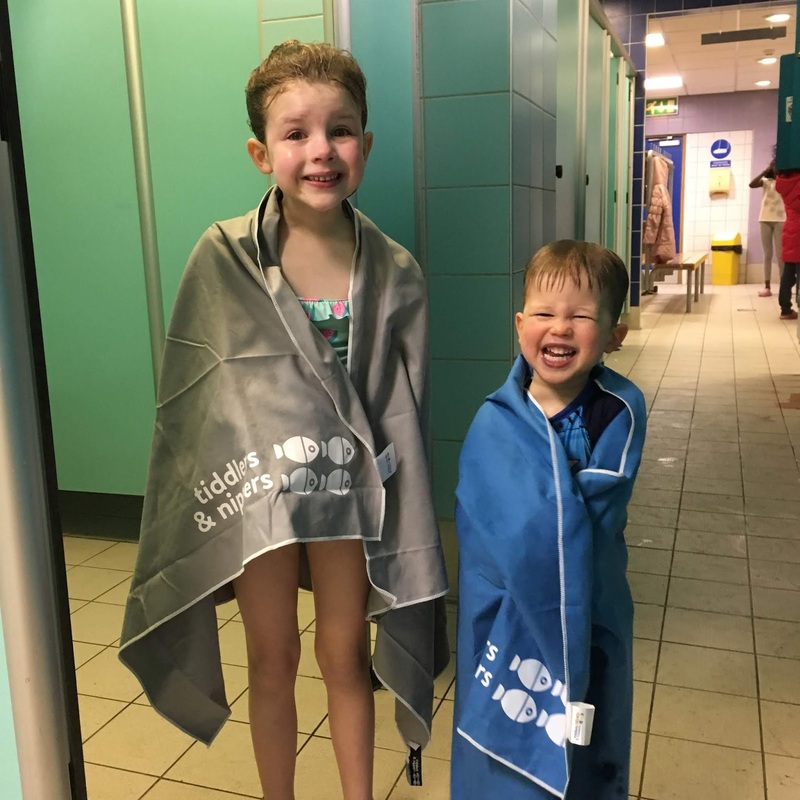 This bag is brilliant for swimming, but I would also recommend it for those who have babies and younger toddlers for quick trips out or when you don't want or need to take a full changing bag. It would even be useful for those who use cloth nappies, as the main compartment is separate and waterproof. 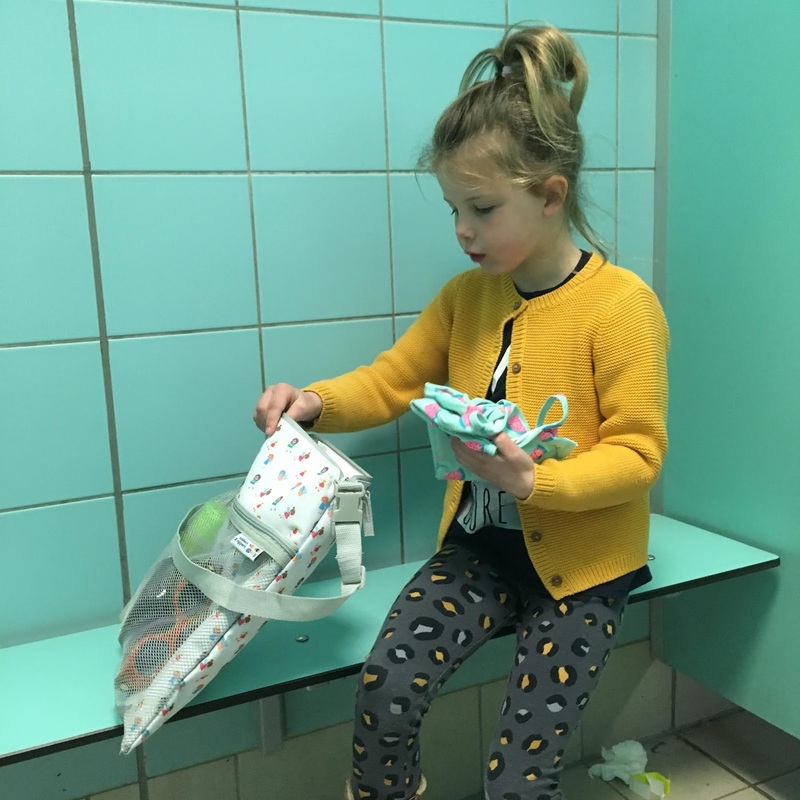 If you haven't already, why not take a look at Tiddler and Nipper's range of super useful products in fun and funky prints and if you fancy treating your little ones (or yourself) to a bag and towel, use the discount code HONEY25 for 25% off at the checkout until Mother's Day 2019. *One set of a swimming bag and towel was kindly gifted in order for me to write a review. I thought that the products were such a great idea, that I also bought another set so that they could have one each. All thoughts and opinions within this blog are my own and have not been approved or edited by the brand.